I’m always fascinated at how 3D printing technology has been used during spinal procedures and surgery. 3D printed surgical guides have been used to help in scoliosis operations, and as far back as 2014, we’ve seen doctors perform surgeries using 3D printed vertebrae, and a 3D printed model for pre-planning, in places all over the world, like Australia, India, and China. 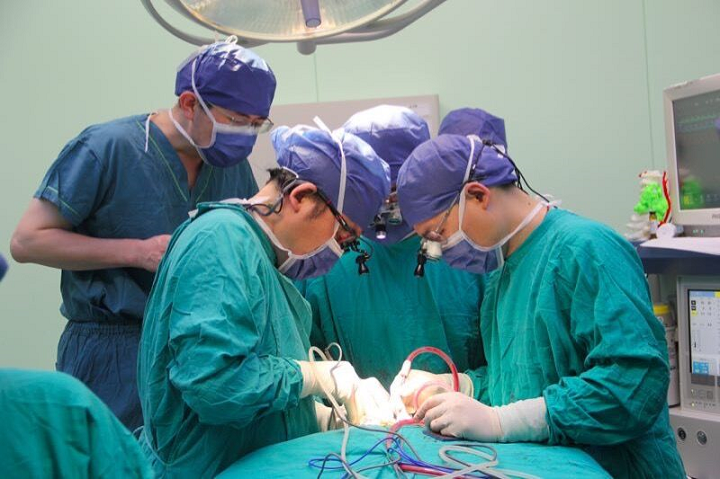 A 28-year-old patient going by the pseudonym of Xiao Wen recently had a risky surgery at Shanghai Changzheng Hospital, the largest spinal tumor treatment center in the country, after she was diagnosed with chondrosarcoma this spring. This is a rare type of cancer, and is one of the most difficult bone tumors to diagnose and treat, so Xiao Wen certainly went to the right place. She had been experiencing neck pain, as well as numbness in her upper right arm, for a few years, but didn’t realize how much of a problem it was until she was no longer able to hold things with her right hand. After seeking help at a few other hospitals, Xiao Wen ended up at Shanghai Changzheng Hospital in May. Doctors discovered a large malignant tumor on her neck, infringing on six of the seven bones in her cervical vertebra. Chemotherapy and radiation are not typically good options, as the cancer is very prone to returning, so the medical team determined that it would be best to completely remove the tumor. There were multiple factors to consider: the patient was overweight and has a short neck, and the location of the large tumor on the neck was tricky, as it was right around the right cerebral artery and cervical nerve root. The doctors also realized they would have to remove all six of the bones affected by the tumor, and replace them with custom 3D printed bones, made of titanium alloy. The doctors were aware of several possible complications of the surgery, including paralysis and overall dysfunction of the cervical spinal cord, so they would need to make sure that everything was extremely precise; luckily, one of the many selling points for using 3D printing technology on the operating table is its ability to be totally customizable. Using imaging data, they made a life-size 3D printed model of the affected vertebrae and the tumor. The surgical team, led by Professor Xiao Jianru, spent three weeks building the 3D printed bones, which were 5.5″ long and have a spongy microporous structure; this helps the artificial bones integrate successfully with the patient’s real bones. The successful two-part surgery took place over 13 hours in July. Xiao Wen is recovering slowly, and while she’s unable to turn her head normally, she is able to walk. Discuss in the 3D Printed Bones forum thread at 3DPB.com.